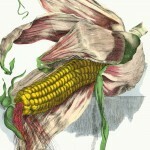 A growing collection of vintage drawings and illustrations of vegetables. 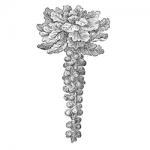 Many of the old botanical prints specialized in flowers and it is a bit harder to find ones of vegetables and vegetable plants. After running Reusable Art for over 5 years, it’s exciting to finally find some great vegetable images to include. For some reason, there are plenty of vintage materials on commercially growing vegetables but very few of them had usable drawings of the vegetables they discussed. 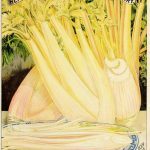 Thanks to a wonderfully illustrated book full of hand-painted botanical prints, the vegetable images category was planted. Full-page and full-color vintage pink plume celery drawing. A pretty celery plant with a bit of pink shading. Looks pretty in the garden or on a plate. 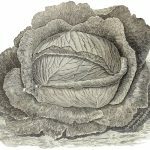 Black and white vintage cabbage drawing from a gardening book from 1894. Vintage brussels sprouts drawing. It’s from a magazine from 1867 and in the public domain. B/W drawing of plant with sprouts ready for picking. 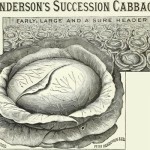 Vintage cabbages drawing from an 1890 seed catalog by Peter Henderson & Co. Tested Seeds, featuring several rows of cabbages and a large cabbage head. 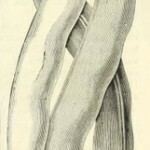 Vintage beans drawing from 1890. This seed catalog image features a perhaps exaggerated plant in full production along with a bit of advertising text. 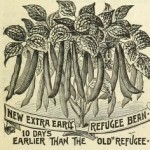 Vintage wax beans drawing from an 1890 seed catalog. 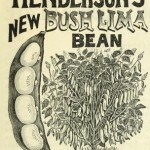 The Yosemite Mammoth wax bush bean produced huge beans and was the pride of Peter Henderson & Co.
Vintage lima beans advertising image from an 1890 seed catalog by the Peter Henderson & Co. Tested Seeds company. It features a bush lima bean plant. 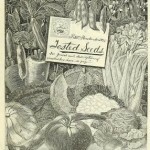 Vintage, 1890 seed catalog vegetables drawing. It features 12 different vegetables and has space for a message of your choosing. 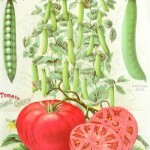 Full color vintage peas and tomatoes image from 1890 seed catalog. Bright green peas and red tomatoes look good enough to eat in this public domain image. 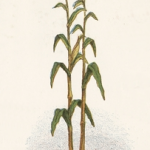 Bold and vivid vintage drawing of an ear of corn. 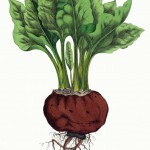 150 year-old hand-colored watercolor book plate of a beet root plant.